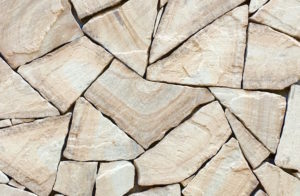 The Field Stone pattern is amongst the oldest Stone Veneer patterns which dates back to the 18th century. 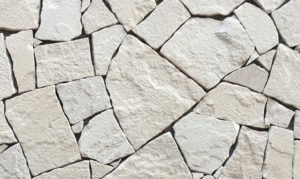 It has always been a vintage favorite for the masons and its uniqueness lies in its non-uniformity. 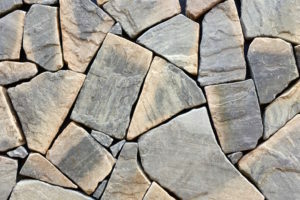 Asian Stones presently produces 9 colors in Indian Sandstone, Limestone, Slate and Quartzite in this Stone Veneer pattern. 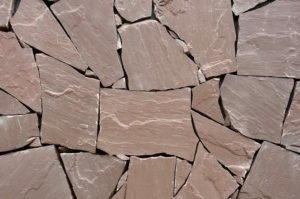 The top surface of the stone is natural / cleft finish, the bottom is either calibrated or sawn and the sides are hand cut/ tapered. 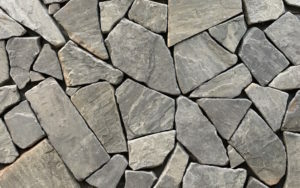 The entire piece can be tumbled as well to reduce the sharp edges and corners and helps it give a weathered / antique look.